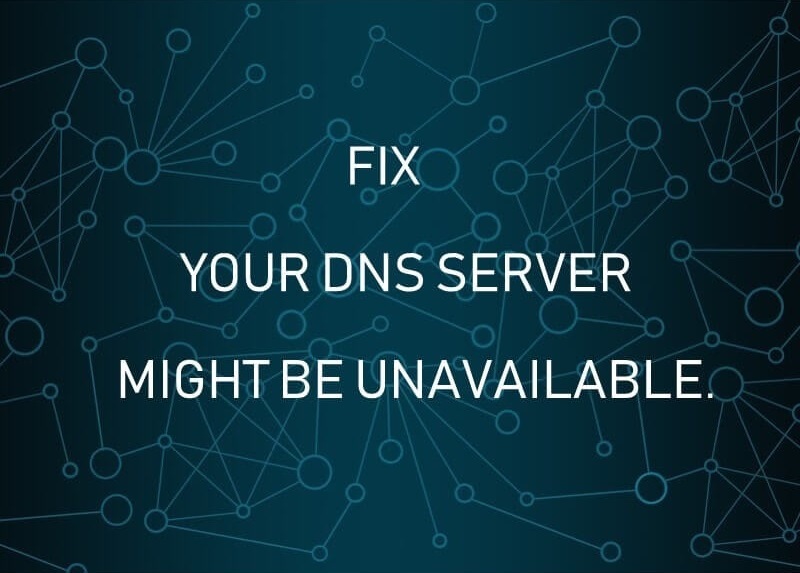 How to Fix Your DNS Server Might be Unavailable Error? Did your internet just stop working and when you tried to run the troubleshooter all you get to see is “your DNS server might be unavailable” error? Well if the answer is yes, then you are not alone. It is one of the most common issues that many Windows users face. However, the lucky part of the story is that it is not too hard to solve. Just a few settings here and there and you are all set. So the first method that we will see is flushing your DNS cache, I hope it will resolve the issue but if it does not work for you then move on the next method. Step 1: First of all click on the Start button. Step 2: Then go to the Command Prompt or CMD. Once done, try rerunning the troubleshooter and see if you are getting the “your dns server might be unavailable” error or not. Step 1: First of all press the Win + R key at the same time to open the RUN menu. Step 2: Over here type down ncpa.cpl and hit the Enter button. Step 3: Now you have to right click on the active network profile and select Properties. Step 4: Then look for the option that says “Internet Protocol Version 4 (TCP/IPv4)” then right click on it and go to the Properties. Step 6: In the end save everything and try to access the internet and see if you are still getting the “your dns server might be unavailable” error or not. Sometimes it is no other than applications like VPN, Antivirus or Firewall makes the real issue. And by disabling them, you might fix the error. Disabling these type of applications is not hard, just go to their settings and turn them off. After that check, if your internet is working or not. Step 1: First of all press the Win + I keys to go to the Windows Settings panel. Step 2: From here you have to go to the Network & Internet > Proxy. Step 3: Over here you have to make sure that the Automatically detect settings option is turned on only. If the option is turned on, then disable it. Step 4: Now in case if some malware has affected your system then you have to get rid of that as well. For this, you need to go to the start menu and search for Internet Options. Step 5: Now go to the Connections tab and click on LAN settings. Now make sure over here the “Use a proxy server for your LAN” option is turned off. If it is enabled then disable it and you are good to go. Now go ahead and check if you are still getting the “your dns server might be unavailable”error or not. There is also a high chance that there is something wrong with your Wi-fi router and resetting it is the only solution available. In case the above mentioned steps are not working for you, then the last thing that you can try out is to reset your Wifi router. However, before resetting your router, you should keep in mind that all the settings will get deleted. And you have to re-enter them. So you better take a backup of all the IP settings that you will need to do. Once you have taken a backup, simply pick up your router and look for a tiny reset button. Simply press it, and you are all done. After that do all the essential settings and check if you are still getting the “your dns server might be unavailable” error or not. Step 2: Type down CMD and launch it. Step 4: In the end restart your computer and you are all done. So these are the steps that you have to follow to fix the your dns server might be unavailable error. Now go ahead and check them out. Also for any questions, feel free to comment below.